A 1994 Vassar graduate, after graduation Scott immediately began work in the financial services area. Driven by his keen interest in the field of personal wealth building, he joined a money management firm at the beginning of 1996. From January 1996 to August 1999, Scott worked for Scholtz & Company, LP a boutique money management firm located in Rockefeller Center, NYC. Scholtz & Company, LP provided an ideal training ground. When Scott left Scholtz & Company to obtain his MBA degree, the firm’s assets under management had climbed from $23 million to $60 million and the staff had doubled. On top of his heavy workload at the firm, Scott did regular volunteer work as the New York area Treasurer of the American Association of Individual investors (AAII). He also studied for and received his CFP (Certified Financial Planner) designation, which sets the standards and gives professional accreditation for comprehensive financial planning. In August of 1999 Scott entered Pepperdine Graziadio School of Business Management (GSBM) on a full scholarship and was awarded a paid working position as a graduate assistant. He was an active member of Pepperdine's Mentor program and also became student chair of the Pepperdine GSBM student-run mutual fund. In December 2000, Scott graduated with his MBA 1st in his class, after completing the rigorous two year program on an accelerated basis in only fifteen months. After receiving his MBA, Scott was hired as the senior financial planner for Glowacki Framson Financial Advisors, LLC, one of Los Angeles’s largest fee only financial planning firms. In the spring of 2003 Scott moved to New York where he is president of his own firm, Brewster Financial Planning LLC. Scott has been quoted in Money Magazine, Newsweek, BusinessWeek online, Daily News, New York Post, Newsday, LA Times, TheStreet.com, Financial Advisor, Fund Marketing Alert, Investment News, Wall Street Journal and Investment Advisor Magazine. He currently is on the board of the New York chapter of the American Association of Individual Investors, and on the Presidents' Counsel of the Financial Planning Association, New York chapter. 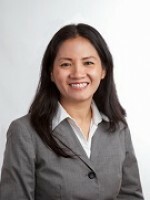 Jackie Lin received her B.A. degree in Computer Science from the University of Rochester in 2000. After graduation, she worked as a computer programmer and business analyst for six years at a large insurance company. In 2005, Jackie decided to follow her passion and changed her career to fee-only financial planning. She started as an associate at Eldridge Financial Planning LLC, a fee-only planning firm, and joined Brewster Financial Planning LLC in 2008. After obtaining her Certified Financial Planner™ certification in 2009 and her Enroll Agent license in 2012, Jackie has gained extensive experience in financial planning and investment management. In addition to her financial planning responsibilities, Jackie oversees the operation of the firm and trains new financial advisors. 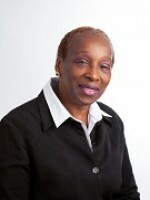 Jackie is also an active member of the Financial Planning Association of New York and a long-time volunteer in their community service program. Edwin, a Penn State Alumnus and Brooklyn native, is the newest addition to our team, joining us in July of 2016. He has a B.S in Hotel, Restaurant, and Institutional Management, and has worked for one for the largest hotels in Manhattan. In 2014, he moved on to work in residential real estate. Having developed a strong interest in personal finance, he decided to pursue a career in financial services. Edwin identified that there is a huge need for sound, client-focused financial guidance. He realized optimal way to fulfill this need was to become a fee-only financial planner. 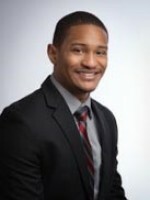 Edwin is currently a CFP student working towards becoming a CFP Certificant. Edwin also participates in the Financial Planning Association’s Pro Bono program. He is an active member of the Financial Planning Association of New York and a mentor in the “Minds Matter” program; a program designed to help talented but underserved high school students in getting into a 4-year university. Pat Figueroa, a twenty-five year plus resident of the Clinton Hills area of Brooklyn. For twenty-five years plus, Pat worked as a mortgage analyst for a not-for-profit real estate entity. Prior to coming on board to work with Scott at Brewster Financial Planning LLC, Pat and Scott worked together on weekends and nights for three years at a local tax preparation firm. Scott was so impressed with Pat’s pleasant personality and dedication that he asked her to “please please” join Brewster Financial Planning LLC. Luckily for us Pat agreed to join Brewster Financial Planning LLC to help out part-time and has been working here since April 2006. 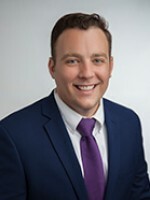 Peter received his bachelor’s degree in financial planning from the SUNY College of Alfred State in 2017, after receiving an associate’s degree in accounting. While attending Alfred State, he was an active member of the campus radio station while being on their board as the Treasurer. After graduating, Peter worked as an intern for the asset liability management department of a fixed income securities firm, and later as an account representative for a stock transfer agent. Peter joined Brewster Financial Planning in the beginning of 2018 to follow his passion to become a fee-only financial planner. 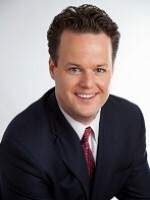 Peter is an active member of the Financial Planning Associated of Metro New York and is working toward becoming a CFP.